Plantings are at the heart of what makes a yard beautiful and trees and bushes are the architecture structure of a beautiful garden. 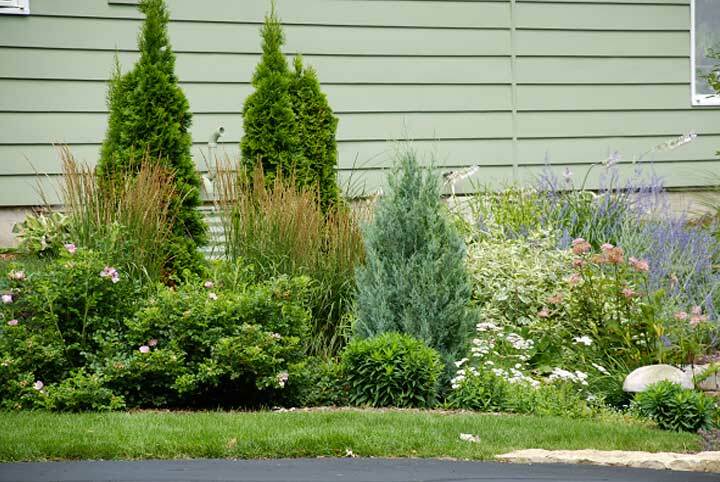 We go into great detail to design your plantings with different heights, forms, textures, colors and bloom times so that your yard looks beautiful year round. Our designer knows the cultural requirements of 390 different trees and bushes both native and ornamental, so he can find a plant to fit your site's needs.